Each month Austin SCWBI features an interview with one of our members, and this month we are fortunate to have Susan Kravlanosky join us. She has just about the best office in the world, and a furry co-worker that keeps her in line. She is talented and passionate, and loves to share her work with kids everywhere. Now she shares with us, and we are so grateful. I grew up in central Indiana, the youngest of three girls. We were the only girls in the neighborhood and spent our days climbing trees, playing cowboys and army. We built dirt forts in the summer and snow forts in the winter, and used our imagination to design the scenario, the combats, and our weapons. We were possibly a little obsessed – even our afternoons at the swimming pool followed some storyline of saving someone who was behind enemy lines. If I wasn’t outside with my sisters, I was at the Public Library. I loved books, and reading, and our librarian. During the Summer Reading Program, I set up an office in the Children’s Room where I quizzed kids on their books before allowing them to report to the librarian. As an adult, I have no idea why she allowed this, but as a kid – that was just one of the reasons I loved her. As I said, I loved books, but it never occurred to me that I could become an author. My parents lived on our same block and saw our daughter daily. 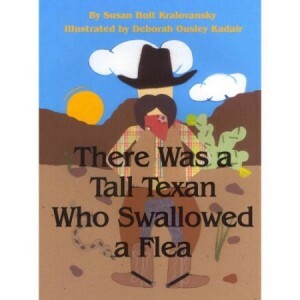 When she was two, they moved to Texas. Sunny asked for them constantly, where they were, why they’d left, when they’d be back, etc. Finally, I wrote a story for Sunny and myself, called MOVING DAY. I sold that story to Children’s Magic Window Magazine and realized I had many more stories to tell. Before deciding to write full time, I was a school librarian. Every idea I have is related to something my students or a teacher said. 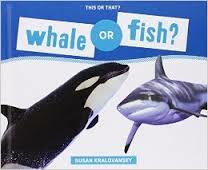 Once a student asked for help finding the fish books because she wanted to do a report on whales. Our conversation on whales and fish became the first page of THIS OR THAT? WHALES OR FISH? 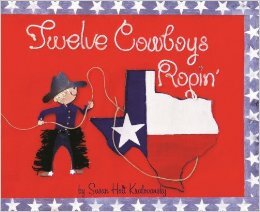 A Pre-K teacher asked for a Texas/ informational/counting book. Not being able to find what she needed gave me the idea for TWELVE COWBOYS ROPIN’. In addition to talking about the writing process, I tell them about being ADD, ADHD, and Dyslexic. I explain that everybody has something, their goal is to not let those things get in the way of their dreams. I had no idea that after my first book, there was still lots of work to be done. Thanks to our wonderful SCBWI village, and especially Cynthia Leitich Smith and Jeanette Lawson for leading me through book releases, school visits, signings, etc. 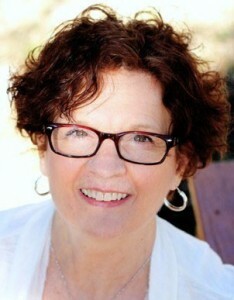 Bio: Susan spends her time doing her three favorite things; writing books, illustrating books, and talking to children about books. Susan resides in Georgetown with her husband and her two writing assistants – Madeline, a standard poodle, and Lynx the Cat.